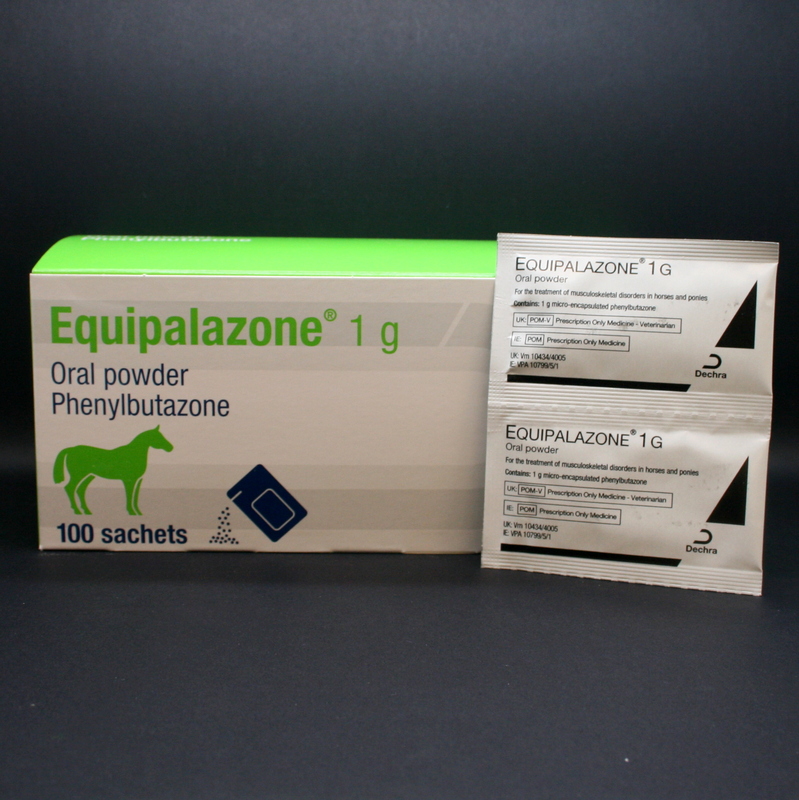 Equipalazone Oral Powder contains Phenylbutazone ("Bute") which is a an anti-inflammatory & analgesic (pain relief) drug. 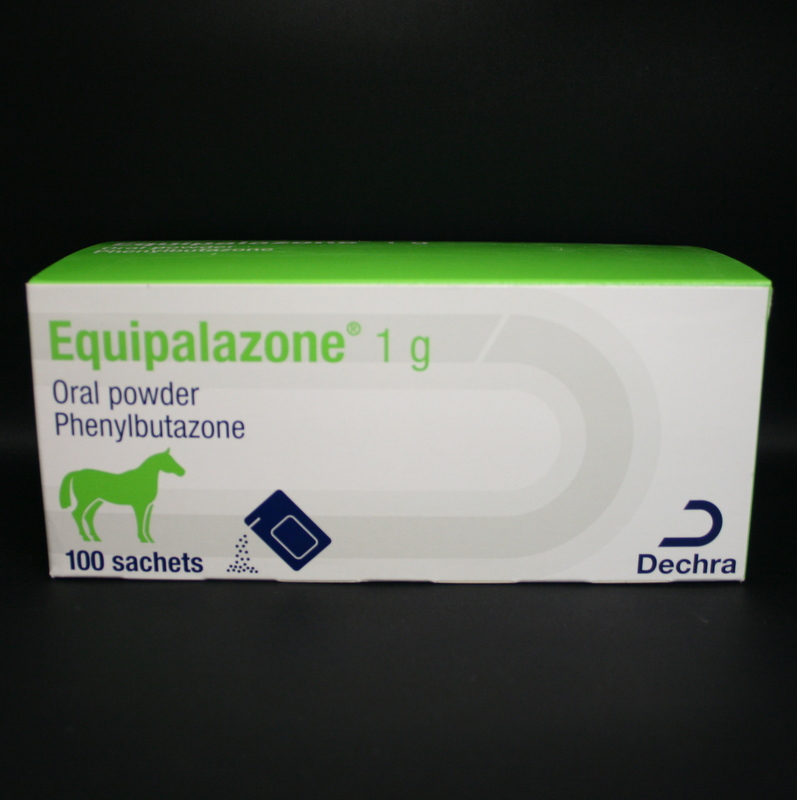 Equipalazone Oral Powder is supplied in sachets, each containing 1g of Phenylbutazone ("bute"), a drug from the NSAID group (Non Steroidal Anti-inflammatory Drug). It is used for the treatment of lameness in horses, for example due to acute & chronic laminitis osteoarthritic conditions, bursitis & carpitis. It can also be used post-surgery to relieve soft tissue swelling. It is also antipyretic (lowers fevers). It works by inhibiting the body from synthesising prostaglandins, which facilitate pain & trigger inflammatory processes & pyrogens (substances which cause a fever). It is supplied in packs of 32 or 100. Warnings & Contraindications- Do not give to horses with known hypersensitivity to Phenylbutazone. Do not give to horses with heart, liver or kidney disease; gastric ulceration or blood disorders. 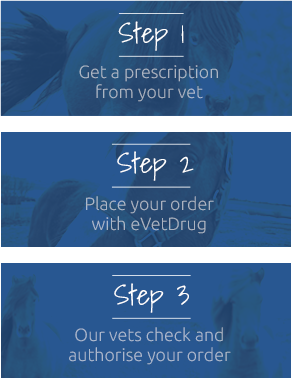 Do not give within 24 hours of giving another NSAID or corticosteroid, please contact your vet or our helpline if unsure. Pregnancy & Lactation- Seek advice from your vet for use during pregnancy & lactation. Use not recommended during first trimester of pregnancy.